A Dartford student has been awarded funding to train for a career working on luxury superyachts. 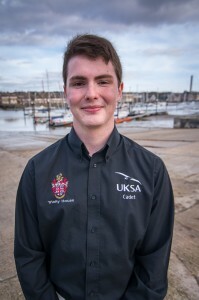 David Stafford, 21 is currently on phase one of the Superyacht Cadetship. David began his training in October after being selected for a coveted bursary worth approximately £14,000 by Trinity House. As a real alternative to university, the course combines study sessions and sea phase training at UKSA, with work as deckhands on superyachts. The course also includes a Foundation Degree in Operational Yacht Science delivered in conjunction with Falmouth Marine School and validated by the University of Plymouth. While working, students can typically earn €2,000 a month tax-free (not including tips), and while once onboard a vessel almost all their living costs are covered by the yacht too. If sensible, students can graduate debt free and sail into a lucrative career. David doesn’t have a sailing background himself, but his dad and granddad were captains and master mariners in the Merchant Navy. He didn’t feel this was an option he wanted to pursue, but his attention was brought to an article about UKSA in The Times, about routes into the superyacht industry, and he decided to find out more about the industry. The article mentioned the bursaries that are available through UKSA towards superyacht training, so David applied to go through the selection process. If funding for a career on superyacht appeals to you, take a look at the new SYCB Bursary.